Brand New Hi-Vis Builders Glove Yellow Highly visible, 10 gauge gloves in polyester/cotton mix. Black crinkle, latex-dipped. 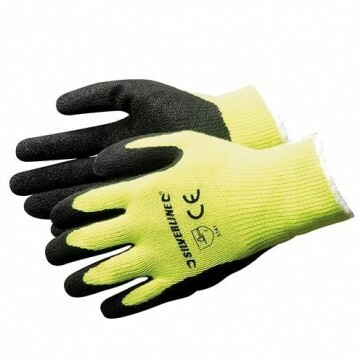 Suitable for building and construction work, concrete and brick handling. Latex coating offers excellent grip. Intermediate design.